With the old structure gone, it’s time to get on with the business of prepping the foundation for the much larger, two-story structure. The challenge in this case: The original is a combination of concrete slab-on-grade and raised foundation, which will later require some compensation and levelling of walls. 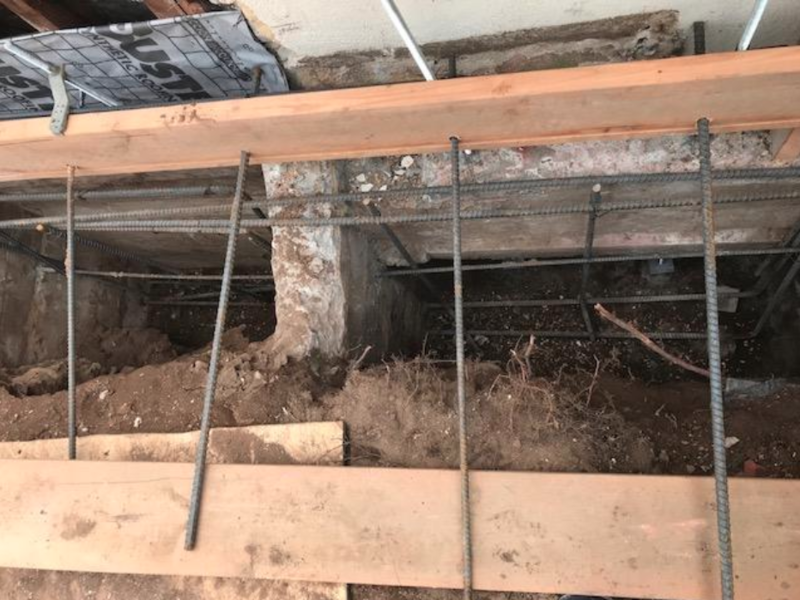 But first things first: Existing footings need to be dug deeper by as much as 5 feet or more in some areas; forms for continuous footings, or grade beams, need to be constructed; and everything has to be tied in to the old footings and pad with rebar. 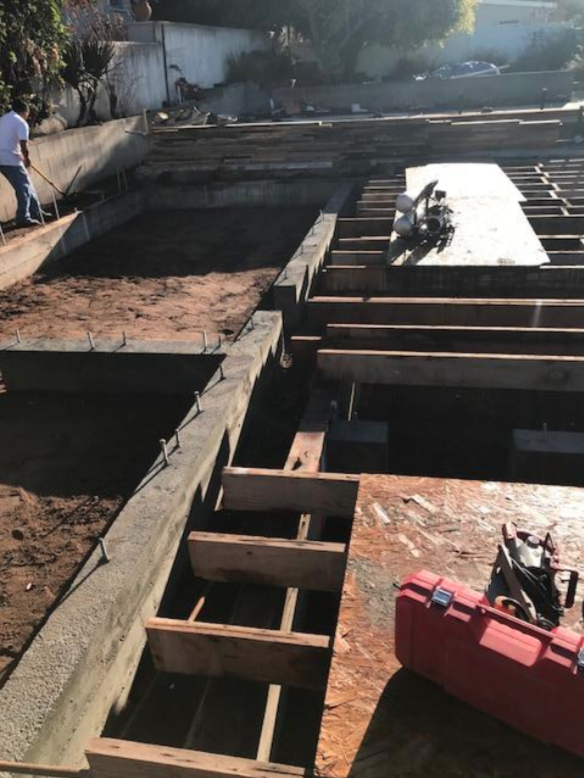 Because of the deep digging in constricted areas, explains Dan Dixon, the project manager for Custom Design & Construction, this calls for good old sweat labor—not much mechanization at this step in the process. And he should know—with 40 years in construction, Dan has seen it all, so he’ll be a good guide throughout this entire project. In order to make digging access easier, Dan explains that the old floor sheeting is removed and will eventually be replaced with AdvanTech 1 1/8 inch flooring and Advantech subfloor adhesive for a stiff, squeak-free underlay that has the added benefit of insulating and soundproofing qualities. The same goes for the slab, where areas of concrete are cut out to allow for access to excavate those deeper, reinforced footings. Remember, we’re in earthquake country, so building-department codes are strict about such reinforcements and tie-ins, the goal being that the entire structure is securely “tied together,” adequately anchored and able to support itself. But Southern California is not alone in this regard—pretty much any area of the country is potentially susceptible to shakers.